Saving money on a new Porsche in South Carolina is simple. The first step is to research the Car model of interest and identify any other vehicle of interest. You’ll receive Car price quotes from South Carolina Car dealers. Simply compare prices to find the best Car prices in South Carolina. The Panamera comes in two basic body styles with no fewer than five different engine options. The base engine is a turbocharged 3.0L V6 making 330 horsepower. Porsche claims that this engine will rocket the Panamera to 60 MPH in just 5.4 seconds. Panamera S models use a new 2.9L twin-turbo V6 making 440 hp. 0-60 times drop to 4.2 seconds for the S. A hybrid version combines the 330 hp V6 with an electric motor, for a total of 462 horsepower, while the full-blown turbo version uses a 4.0L V8 engine with two turbos to produce 550 horsepower. Porsche claims a 0-60 time of 3.6 seconds for the Turbo model. 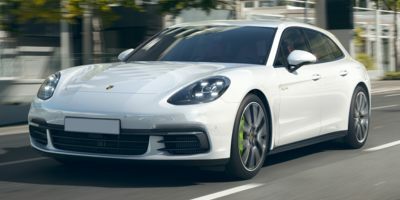 At the very top of the Panamera hierarchy lies the Panamera Turbo S E-Hybrid, which combines the 550 horsepower V8 with an electric motor for a staggering 680 horsepower and a 0-60 time of 3.3 seconds. 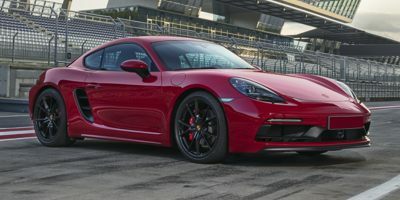 Base Panamera and Panamera S models come standard with rear-wheel drive, while hybrid and Turbo models come standard with all-wheel drive, though all-wheel drive is optional for base and S models. Power is distributed by a new 8-speed PDK gearbox which shifts incredibly quickly and is partially responsible for those rapid acceleration times. A new development in the Panamera lineup for this generation is the all-new wagon model, dubbed the Sport Turismo. 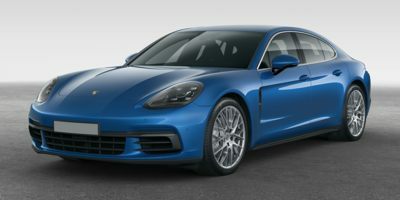 Where the regular Panamera has a trunk, the Sport Turismo has a long, elegantly shaped rear hatch, capable of swallowing a surprising amount of luggage. 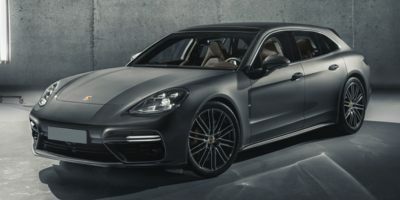 While Porsche has continued to refine the Panamera styling, the Sport Turismo Panamera might be even better-looking still. All Sport Turismo Panameras also feature all-wheel drive. Being a Porsche, the Panamera must fulfill a role as a luxury car and its standard features reflect this. Base Panameras come with a 10-speaker 150-watt stereo, SiriusXM satellite radio, a navigation system, a ParkAssist system, a rear camera, dual-zone climate control, partial leather seating with heaters for the front seat, a multifunction steering wheel, 19-inch wheels, HID headlights and a panoramic sunroof. Options on the Panamera are multitude: a Premium Package includes a Bose sound system, 14-way power adjustable seats with a memory function, a lane-change assist function and Porsche Comfort Access, which lets drivers start the car without having to take their keys out of their pockets. The Premium Package Plus adds soft close doors, rear heated seats, vented seats in front and Porsche's Dynamic Light system with headlight cleaners. An assistance package includes an adaptive cruise control system, a lane-keep assist system and night vision. Compare South Carolina Porsche prices. 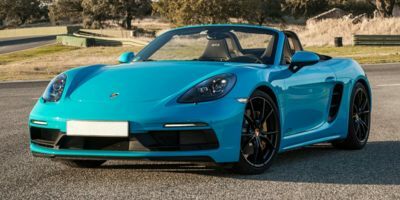 Get free price quotes for any Porsche in South Carolina. See the invoice price, MSRP price, and clearance prices for all vehicles. Save big when South Carolina Porsche dealerships compete on price. Compare Porsche prices, pictures, reviews, local rebates and incentives, and more. View all used vehicles for sale in South Carolina. Compare used Porsche vehicles and get the best deal in South Carolina. See prices, pictures, vehicle specs and everything you need to get the best deal on a used Porsche. Bad credit auto loans and good credit auto loans for a new or used Porsche in South Carolina. Compare current auto financing rates and get approved before you go to the dealership. We can get financing for nearly all new or used Porsche buyers in South Carolina. Get a free auto loan quote today. Compare auto insurance rates from top lenders. Get the lowest monthly payment on a new or used Porsche in South Carolina. With free Porsche insurance quotes, you can save money regardless of driving history.